With this being said, now anyone can think of creating a blog, taking it in a professional level and making profits from it. There are many people who have attempted to start a blog, with the expectation that their blogs will be successful and will start making huge profits within months, but unfortunately only a limited number of “such” attempts were successful and even lesser were able to make profits from their blogs. The easiness of creating a blog can make you think that blogging is anyone’s cup of tea, and anyone can start making ahuge income from their blog within months. But the truth is a bit different – creating, maintaining and monetizing a blog is not as simple as you have thought of, and you need to know the basic and fundamental aspects of blogging before starting a blog. Becoming a blogger is not just about writing a post, there are lots and lots of technical things related to it, and ignoring them can simply kill your entire blogging career. This article gives you a complete checklist of everything you need to know and remember before starting a blog. Each and every point, has been written with simplicity and with clear explanations so that your journey of reading this post and learning blogging becomes enjoyable and effective. This is the first and the foremost thing you need to consider before launching a blog. You are going to start a blog, but that doesn’t mean that you are going to write about anything and everything on your blog. If you want to blog in the right way and want to be a long-time successful blogger, then you must pick up a topic or “niche” to write on your blog and you need to stick to that specific topic you have chosen. Every blogger must realize the importance of picking up a perfect niche for their blog. As a blogger, you must understand what you are interested in and is passionate about writing, otherwise you will never be able to devote your full energy level to our work and in the long run you will definitely fall short of content. But interest and passion aren’t enough, you must also hold enough knowledge about the topic you choose to blog, otherwise you will fail in bringing good quality articles for your readers. A perfect mixture of interest, passion, devotion, dedication and knowledge can bring life into your blog. So, pause for a second, as you need to decide the niche of your blog right at this moment before it is too late. Think about a topic in which you have huge interest, real passion and enough knowledge. You may not have huge knowledge about your niche in the first instant, but if you have enough interest, then knowledge can eventually be gained. 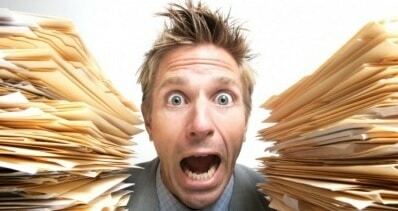 Simply, picking up a topic to write on your blog is not enough. It is true that you need to have an interest in your topic, but what about others? Are others interested about your topic too? You need to have a large enough audience for whom you will write. So, technically speaking, you should try to pick such a niche or topic for your blog, which has high search volume. But this doesn’t end here. Just having a huge audience for your blog, is not enough. Will this audience be able to reach your blog? What about other successful blogs who are already dominating your niche? And it simply refers to your competitors. You must choose a niche, which has very low competition. Choosing a niche, having an extremely large audience which as a result is highly competitive, is nothing but complete foolishness. So, take some time and choose your niche wisely. Many bloggers make a huge mistake in choosing their niche and thereby suffer in their entire blogging career because of a single mistake they have made (without proper knowledge) at the very beginning. I don’t want you to make this mistake, and have thereby tried my best to make this aspect strike a note in your mind. 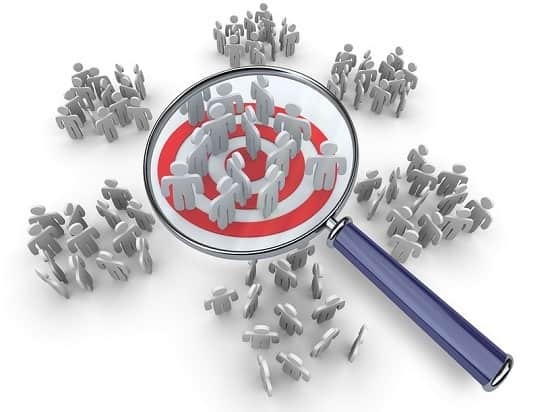 You must understand the importance of choosing the niche carefully with these two aspects –high search volume and less competition in mind. This is yet another important aspect that you must remember before launching a blog. Buying a domain name, may sound extremely simple and unimportant to many bloggers and they thereby neglect giving priority to it. But it holds huge importance. Domain name is simply, the name of your blog or website which serves as your identification in the internet. Once you take a name, you can never change it. It is a one-time decision, and thereby demands importance. But there are few technical things involved, which should be carefully dealt with. Whether to choose a unique domain name or a descriptive name with a keywords in it? 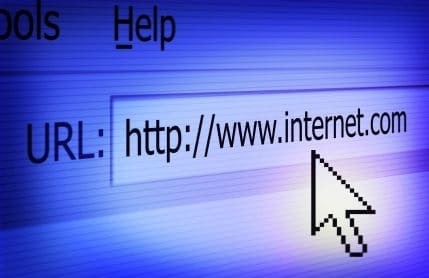 What domain name extension should you choose? How should you take SEO in consideration while buying the domain name? There are many more important factors like this that must knock your mind before you buy a domain name. And these factor must be rightly dealt with, so it is a good idea to do some research to make yourself well aware with the do’s and don’ts, before buying a domain name. Neither users nor search engines, like a slow site with frequent downtime. Therefore, Web Hosting is a matter that you should specially deal with, right before starting your blog. There are many bloggers who don’t pay much attention while choosing their web host, and thereby become the victims of slow speed with frequent downtime. No one likes to visit a slow site which is unavailable for most of the time. So, before starting a blog, finding a good web hosting company which is reliable enough, should be your primary job. I would personally not recommend you to spend too much money on your first web host. 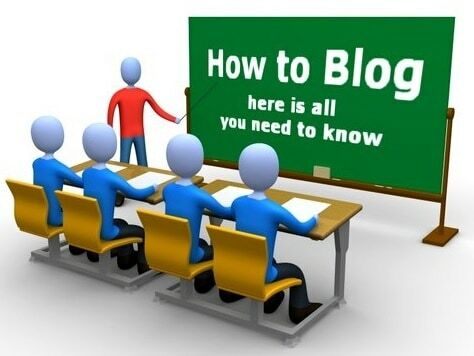 If you are just starting out with a blog, then surely you are not going to have a huge traffic in the very first day. It takes a lot of time to build consistent traffic. 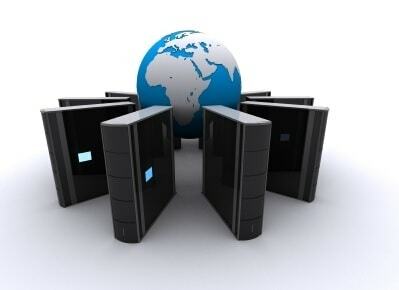 So it is simply not necessary to go for a VPS or a dedicated server at the very beginning. You can just start with any shared hosting company which has a reputation over the years and is reliable. A good customer support is also something that you must look at while deciding your web hosting company. There are a bunch of good hosting companies out there, but to make your job quick I can recommend a few hosting companies I trust – InMotion.com, HostGator.com, BlueHost.com, Arvixe.com, DreamHost.com. I am not trying to promote any web hosting product here, so no affiliate links. The theme is like the dress that your site will wear, and you can either make your site look beautiful or ugly with it. Though content is the main reason of attracting visitors yet theme plays an important role in attracting the eyes of your visitors and increasing conversions. There are various ways of getting hold of a theme that will suit your site in the best possible way. You can either use a free theme or go for a premium one. Using a free theme will not cost you a single penny, but most of the free themes may look good but are not at all optimized for speed and search engines. So, this may be the reason enough to convince you to buy a premium theme. Premium themes are designed by professionals and they pay acute attention in designing and optimizing each and every corner of the theme with perfection. So, the money you pay will not go into waste. There is another much preferred option that is to go for a custom designed theme. You should be well aware of the fact that both free and premium themes are openly available in the market and anyone can start using them. So there will be nothing unique and different in your site. So, if you want to have that “pride of exclusivity” factor, then go for a custom designed theme. So, it is a good idea to design your own custom theme. This will make your theme completely unique and different from others. But you need to have good knowledge and experience in CSS and HTML, so as to design your own theme. But you can avoid this by hiring a professional who is proficient enough in these things and can design a unique custom theme for your site. You probably have heard of the saying “Content is King“, by now. By writing great quality and extraordinary articles for your blog, you can definitely grab good traffic, but that will be a short-term traffic. So as to get targeted traffic for a long time, you need to write content, keeping both the visitors and the search engines in mind. Neglecting SEO can ruin your entire blogging career. You need to give priority to both on-page and off-page SEO. On-page SEO includes taking care of keywords, H1, H2, H3 tags, sitemaps, internal linking’s, etc and off-page SEO is mainly about link building. So, right from the first day of blogging, you need to concentrate on SEO and make your site search-engine friendly. But SEO might not be everyone’s cup of tea, but there is nothing to worry. You can hire an SEO expert who will work on your site and improve your site’s SEO, thereby improving your SERP rankings. This option is not free and you need to pay at least some amount of money to your SEO consultant for optimizing your site. But there is another option – better and much preferred. You can start learning SEO by yourself. 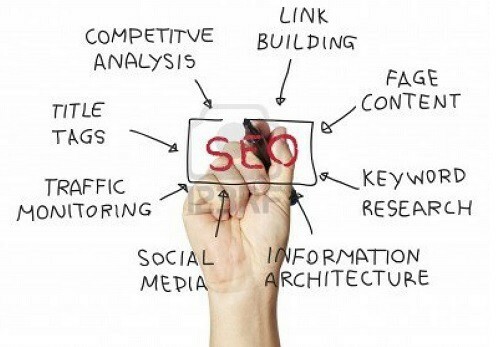 SEO is neither an easy nor a difficult subject, but it is definitely a very interesting subject to learn. If you want to be a successful blogger and want to continue blogging for a long time, then learning SEO is the best possible option. Before you start blogging, you must spend some time in designing a strategy of your work. You must have a proper game plan and must stick to the plan in any situation. The first thing you should do, is decide the number of posts you are going to write for your blog, per week/month. This depends upon person to person and also on the niche your blog belongs to. Some bloggers decide to post twice a week, some three to four times and some update their blogs daily. Until you can maintain the quality of your posts, you can choose anything to be your “posting frequency”. It is completely up to you to decide how frequently you want your blog to be updated, but you must stick to it in any situation. You should not deviate from your own strategy. Consider yourself to be a professional and work in that fashion. Your strategy should also include other aspects like the length of the posts, the style of writing, the format of presentation of the posts, etc. You should also maintain a good reserve of posts before your start. It is always a good idea to keep at least 4-5 posts in backup before starting your blog, for times when you are completely unable to update your blog. It is also a good idea to be ready with more than 10 post ideas from beforehand. Promotion is one of the most important aspects in blogging. You may be a great blogger, and you may have the capability to write extraordinarily good articles, but without proper promotion, all your hard work will go into waste. It is a universal truth that even very good quality products fail due to lack of proper marketing and promotion. So, take promotion very seriously from the first day of blogging. The two most important and easy steps that you can take to promote your blog to billions, are Facebook, Twitter and Google+. You should never make a mistake by underestimating the power of these three social media platforms, and neglecting them completely can be your most deadly blogging mistake. You should create a Facebook page, Twitter profile and Google+ page of your blog without any delay. There are even lots of customization options to make your pages look attractive to your visitors. Not only Facebook, Twitter and Google+, but there are many other Social Media and Social Bookmarking sites that can bring huge traffic to your site. Don’t be afraid to promote your work among the masses. Remember, that even Facebook pages with a thousands of likes and Twitter profiles with millions of followers, started from a “big zero” one day. Blogging is not just about writing articles for your own blog, but also to contribute for other fellow bloggers. You will probably ask me the question, why should I write good quality articles for my competitors while I can do the same for my own site and make it more popular? There are lots and lots of benefits of guest posting, and neglecting it is yet another blogging sin. Guest writing will give you huge traffic, authorative backlinks, loyal visitors and higher conversions. Not only this you will also gain creditability for your work and people will start recognizing and respecting yur work. You must make the mindset to contribute for others with your best possible efforts. If you want to achieve something, then help others with whatever they want to achieve. If you can make a mentality to help others, then people in return will surely help you back. Blogging can make you sit before your the computer for hours and can make your eyes sore. This is one of the pessimistic sides of blogging. It is quite obvious that blogging involves quite a lots of activities regularly and needs your full energy level and time devotion. If you are not blogging casually, then you need to provide regular time for blogging, maybe more in the weekends. It is quite evident that you have a personal life with family and friends, and you need to maintain a proper balance between the two. Only a few people who are good enough in time management, can manage their personal life, work life and blogging career effectively. But this doesn’t mean it is too difficult or is impossible. It simply means that you need to be more and more time conscious, and need to spent time judiciously. I don’t want to make you disheartened by showing you this final pessimistic side of blogging. But before you jump into blogging, you should know both sides of the coin. Blogging definitely involves a lot of hard work and demands a lot of time, but if you love your work and is truly passionate about it, then managing time for blogging should not be a problem at all. I want to encourage you to blog in the best possible way so that your blog reaches the zenith of success. And the best way to start blogging is with the amazing services from the experts of Joomla, WordPress and Drupal – corePHP. We have got everything you need as a beginner to start blogging and if you are an expert then our services can suit you even better. I have tried to make this post as simple and as effective as possible. But nothing is perfect in this world, and so is this post. I welcome my readers for any suggestions and corrections regarding this post thereby making it even more interesting, informative and helpful.